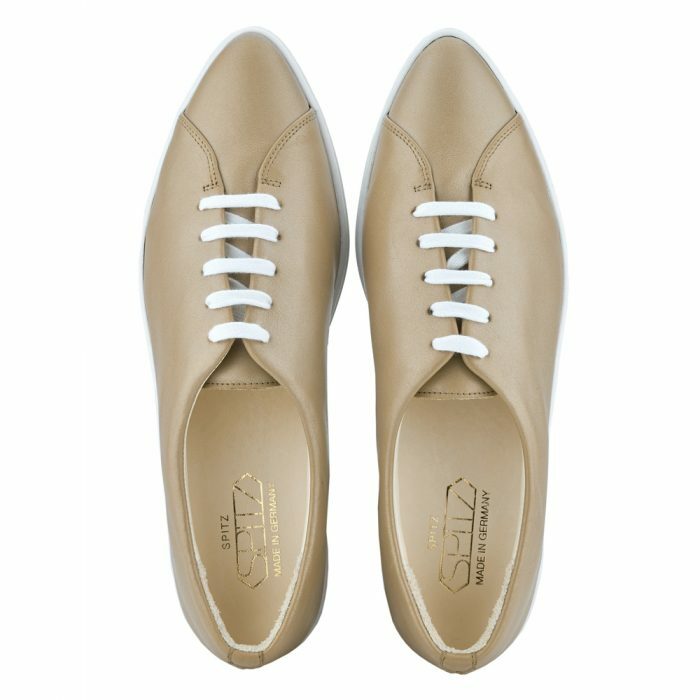 Spitz sneakers characteristics are a sleek profile, the signature pointed toe, premium quality and ageless appeal. 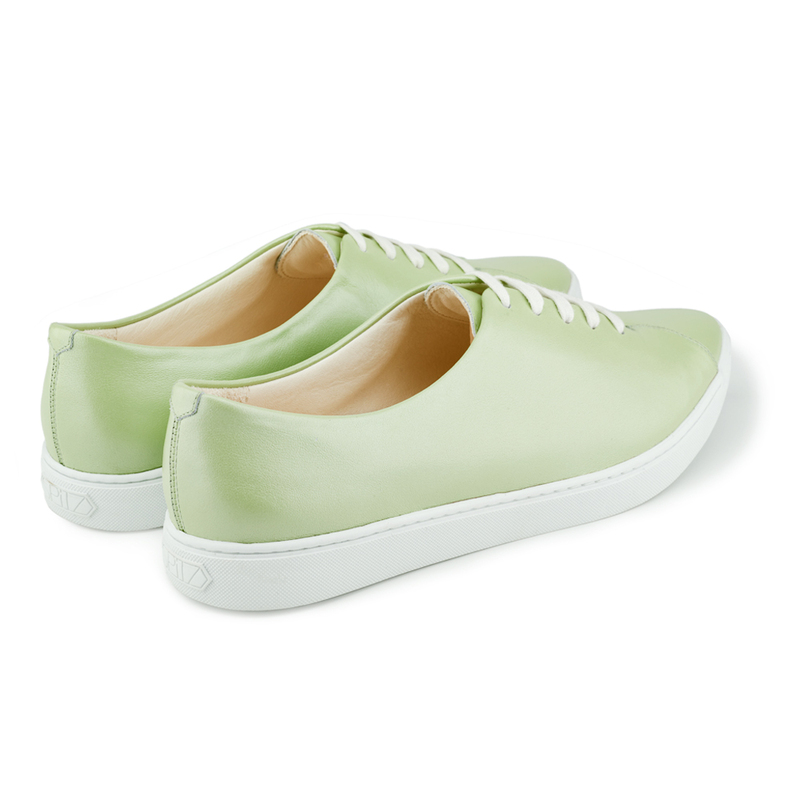 Sneakers crafted in Germany from tactile calf leather with a special surface finishing, this pair in a fresh green color is detailed with smooth vegatably tanned leather linings and 100% breathable, shock absorbable insoles. The leather uppers are individually stitched to tough natural rubber soles from German manufacture for a superior construction. SPITZ offers free standard delivery within EU on orders above 300 Euro. Shoes from our stock can be exchanged for free. Returns must be covered by the customer. We don’t provide international returns at this point. Please send the item back for a refund and place a new order online. Since all of our items are made in limited numbers, we cannot guarantee the availability of any of our products. 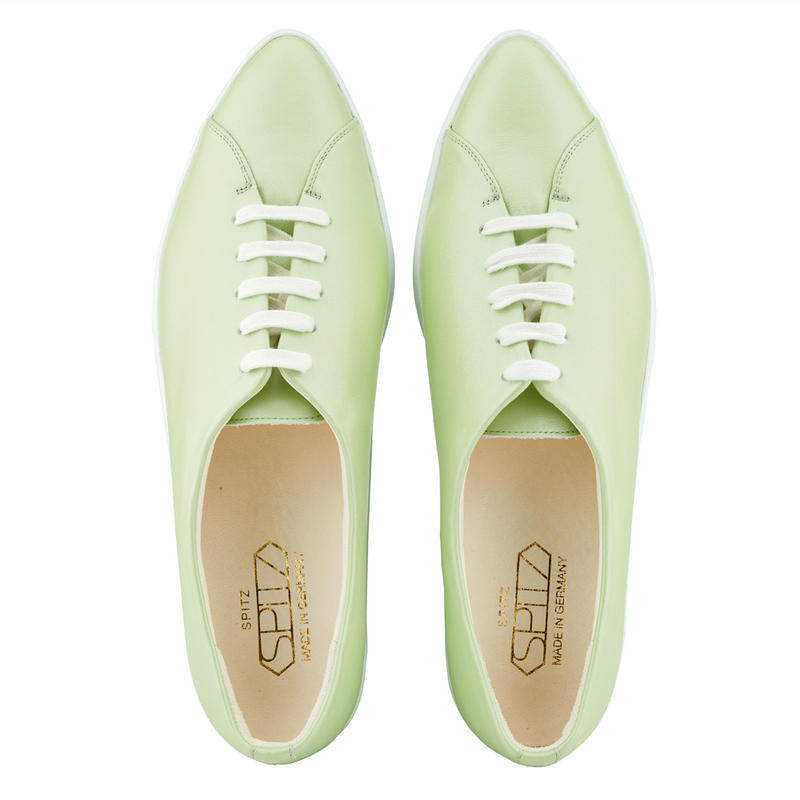 Shoes made to order will only be produced after the customer has received a try for fit model and confirmed her size. The final made to order shoe cannot be returned. Shoes on stock will be sent within 48 hours after the order has been completed. 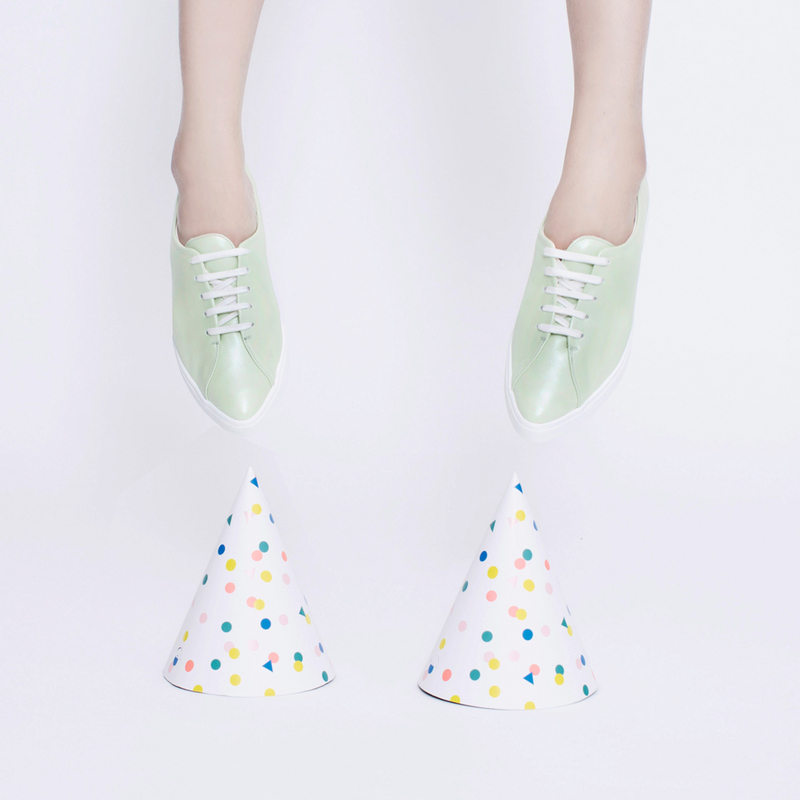 Production time of shoes made to order takes 3-4 weeks after size confirmation. They will be sent directly from our factory in Germany. by registering to our mailing list. By registering you will get a 15% discount on your first purchase! 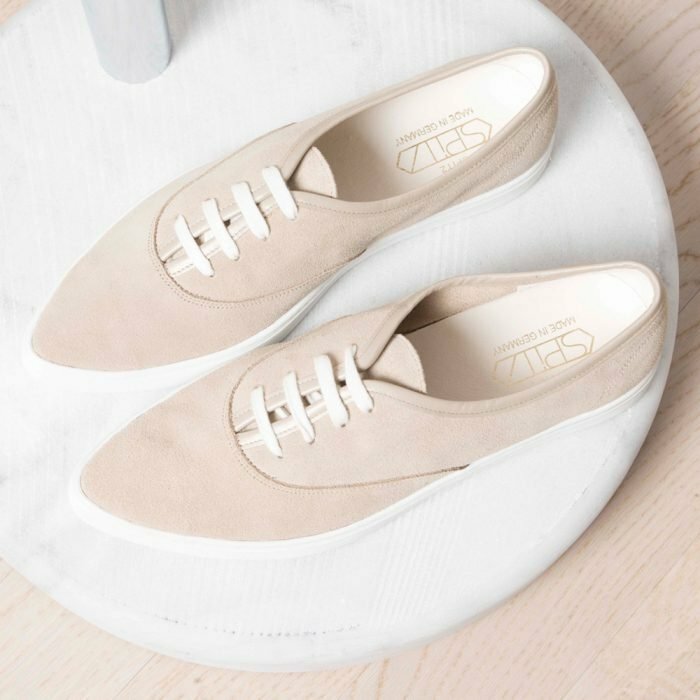 The item you would like to purchase is currently not available, but it can be ordered through our MADE TO ORDER system, which means that this shoe will be made uniquely for you. To get to know our Made to Order System and learn how to choose your size best please read more about it HERE. 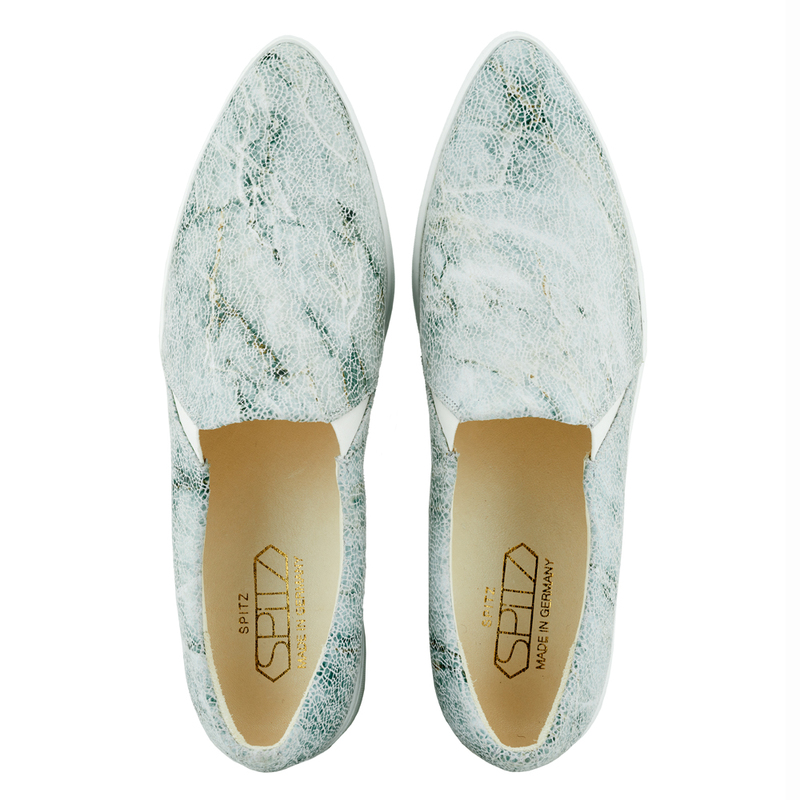 Please understand that the production time of shoes made to order usually takes 3-4 weeks. 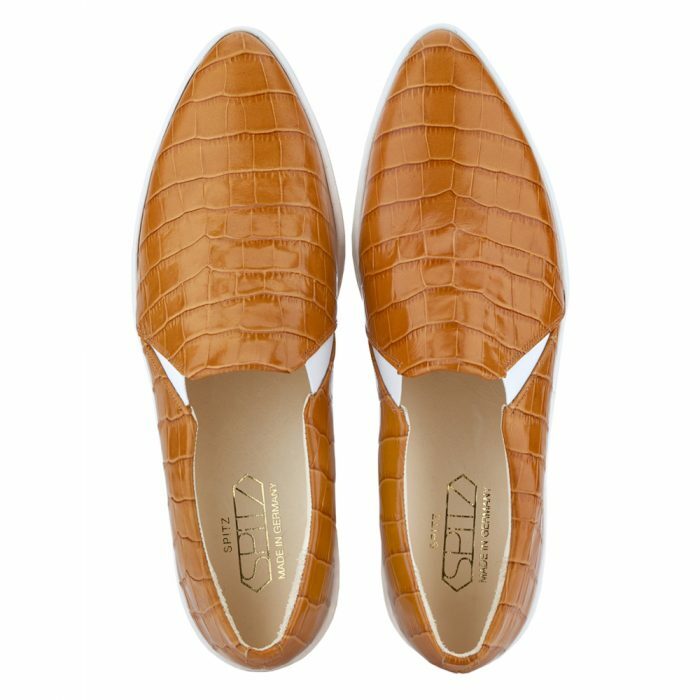 If you would like to purchase this shoe personally made for you simply add it to your cart in your size, it will automatically be noted as made to order in our system. SPITZ offers free standard delivery on orders above 300 Euro. (Please note that free shipping will be applied to your order at checkout). Please note that delivery to rural addresses can result in longer delivery times. All EU orders are shipped with UPS and requires a signature upon delivery. UPS usually operates between 9am—6pm on business days. You can specify an alternate daytime delivery address when ordering, for example your work address (recommended). Outside EU delivery times depends on the area, but mainly it’s between 2 and 4 business days. All countries within the European Union are shipped on DDP (Delivery Duty Paid) basis, meaning that taxes and duties are included in the final price. Please note that in some cases you might be subjected to customs, import taxes or a brokerage fee when ordering from the online store. Please check with your local customs office for your local rules and regulations. We don´t deduct VAT for international orders. Please note that the delivery charges do not include import costs that may be due when the package reaches the country of destination when outside of the EU. All orders are fully traceable through our website. Delivery times are provided as guidelines only, and do not take into account possible delays caused by payment authorization and/or stock availability. We are unable to deliver to post office boxes. We insure each purchase during time in transit until it is delivered to you. All orders require signature upon delivery, at which point responsibility for the shipment passes to you. If you have specified a recipient other than yourself for delivery purposes, you also accept that signature by the third party is sufficient proof of delivery and fulfilment by SPiTZ. For security purposes, we reserve the right to ship first-time orders to the cardholder’s verified billing address or work address. To avoid delays in receiving your order, please make sure to provide the correct billing and shipping information associated with your credit/debit card when placing an order. We aim to delivery all orders as quickly as possible. Delivery times stated on the website are in no way a guarantee and are based on approximations. This is due to third party factors, that may cause delays.